The most important issues in every construction project are scope, cost and schedule. These three constraints, often referred to as the “project management triangle”, are inter-dependent and are always competing. Think about it—everyone wants a high quality project that takes the least amount of time to build, at the lowest cost. Many contractors will tell their clients they can’t have all three—which two do you want? 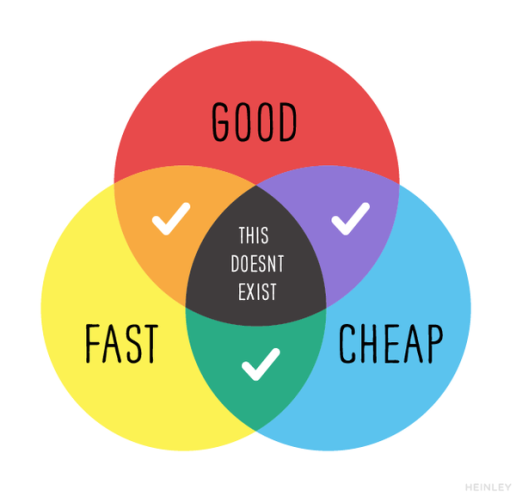 Do you want it fast or cheap? Is it possible to manage your project so that you can have all three? Experienced project managers pose the question differently: how do we balance the three constraints to achieve the most value for the project and client? They understand every project is different and that these constraints must be continually weighed against the others throughout a project’s lifecycle. They recognize how to apply construction management strategies to manage competing constraints while maintaining project quality. Scope is the first variable in a construction project that must be properly controlled. Scope creep adversely impacts cost and schedule. A good construction manager will strive to integrate management of the design and cost during the whole process. Good design and construction contracts define the services or scope of work each party is to perform. An experienced construction manager will ensure the project scope is properly documented in the drawings, contracts and specifications. Scope development starts early in the planning process. What exactly do you want to build, renovate or fix? Owners are should bring an expert construction manager onboard early to assist in selecting the best professional team to develop and define scope. An experienced construction manager will evaluate potential team members’ abilities to balance these three constraints. For example, an architect’s suitability is more than just a matter of aesthetics (which is a big factor in scope). You may love his/her concept for your dream home or commercial development, but can you afford to construct it? A key element your construction manager will look for in an architect is his capability to deliver drawings that are well developed, detailed and coordinated, along with the ability to meet design drawing milestones. We recommend owners contract for full engineering during the design phase so that technical requirements such as electrical, plumbing and mechanical engineering are fully developed and incorporated into the drawings. Drawings light on detail cause delays as resultant change orders to fill in the gaps take time to design, price, subcontract, schedule, and perform. Runaway design with ever-increasing scope is a common problem. Because the general contractor will estimate his costs for labor, materials and duration on the initial drawings, any missing or insufficient details may prompt an increase to his bid. Your construction manager should continually review the drawings as they are being developed to ensure they are reasonably complete and the design remains consistent with the budget. These practices reduce costs by eliminating costly change orders later, which occur typically in a less competitive environment and may also affect project schedule as they cannot be as easily planned. We encourage owners to not rush into the project but spend as much time as they need in planning and design to make clear decisions and avoid changes later. Best practices dictate preparing an early total project budget that includes detailed line item hard construction costs and all other costs of the project. There are many costs outside of hard construction costs that are generally defined by categories of soft costs (mostly design fees) and FF&E (furniture, fixtures and equipment). To this we add other owner’s costs such as legal and financing or in the case of commercial development, marketing and leasing costs. A total budget for a large project will include architecture, engineering (mechanical, electrical, plumbing, structural, civil, geotechnical, acoustic, etc. ), landscape architecture, surveying, testing & inspections, permits & fees, consulting, furniture, fixtures & equipment, construction management fees, interest, legal, financing and cost escalation and other owner’s costs. Include the owner’s full needs such as home automation and security for residences and special equipment or marketing expense for commercial projects. An appropriate contingency, which owners should expect to spend must be allocated to capture potential unforeseen conditions and other hidden costs. Clients have every right to change their minds and commonly do when they learn of new materials they like better, see opportunities once the framing is up or decide it’s worth it to spend extra for better lighting fixtures. Most clients are willing to pay to get exactly what they want if they think it’s worth it—again, it is all about value. Owners cannot make informed decisions on scope change without understanding the associated cost and schedule implications to those changes. Considering changes within the context of a total project budget and schedule allows for clear decision-making and benefits the project. Schedule tends to be a bigger challenge than cost and the hardest element to manage. 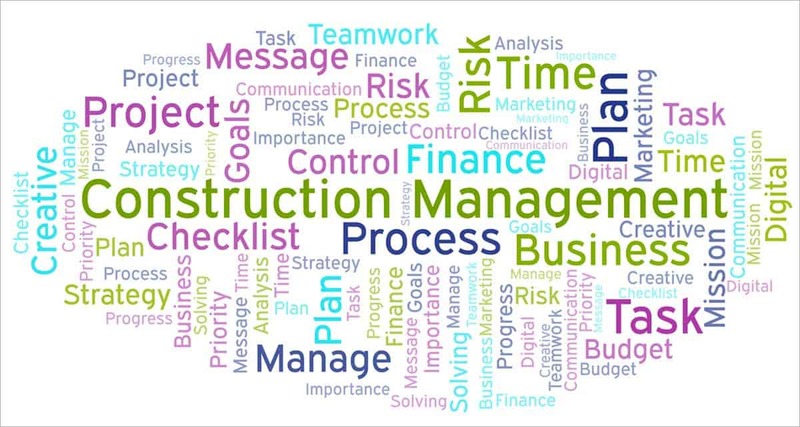 A good construction manager will not only reduce costs by accelerating the schedule wherever possible, but will focus on flushing out schedule expectations and potential conflicts early. An architect’s drawings should be comprehensive but just as importantly, production of the drawings must be timely. 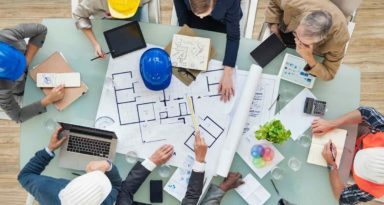 Contractors often complain (rightfully) that owners (substitute architects and designers) who make slow decisions on design options or numerous changes during construction hold up their work. Owners can keep the project moving smoothly and avoid delays by making prompt decisions and requiring their professional team to do so. During bidding, we focus heavily on a contractor’s scheduling capabilities, approval cycles and milestones. We confirm whether their assertion that they can deliver the project in the time frame necessary is realistic. During construction, if the schedule starts to slip, your construction manager’s close monitoring and continual updating of the schedule will catch it promptly and act to mitigate it wherever possible. This could mean rebalancing the three constraints of scope, cost and schedule such as by adding more resources to the project such as increased staffing, additional, night or weekend shifts. Projects must be managed with flexibility so that they can adapt when pressure is put on one or more of these variables. You cannot avoid change altogether, but you can identify, discuss and continually evaluate those changes and be prepared to adapt in order to pivot or compensate. For example, adding more scope typically creates more costs and time to complete—additional work must be properly integrated into the project delivery. Avoid excessively pressuring a contractor to add more and more scope or finish early, which may result in deficient quality and more costs for overtime work. More pressure often equates to greater risk that something will go wrong. Risk management is an essential process to maintaining all three parameters of cost, quality and schedule. We work to avoid contractors cutting corners, or simply making assumptions about waterproofing details exposing the owner to potential construction defects, just because the owner was in a hurry to finish. Disputes about scope, quality or schedule always negatively impact project success. A telltale sign of increasing risk is more friction and arguments within the design and construction team. 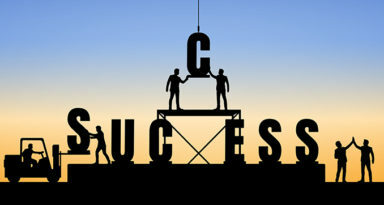 A good construction manager will foster excellent communication to create team solidarity which allows for early problem solving and tighter control of the schedule, budget, and ultimately quality. Your construction manager is critical in maintaining the big picture while balancing competing constraints and project dynamics. He must also manage the team as well—efficient project delivery depends on a harmonious and well-coordinated team. When an experienced construction manager assembles the best team, coordinates the design and engineering properly and executes Planning and Preconstruction efficiently, problems will be anticipated and mitigated, allowing the project to accomplished successfully, on time and within budget.